Available in SVGA and XGA resolutions, the Toshiba NPS25A and NPX25A 3D projectors are perfect for the office and home. Incorporating the latest DLP® technology and features, wow your customers and colleagues with sharp and colourful business presentations. At home, enjoy the latest 3D Blu-ray blockbusters in 3D. 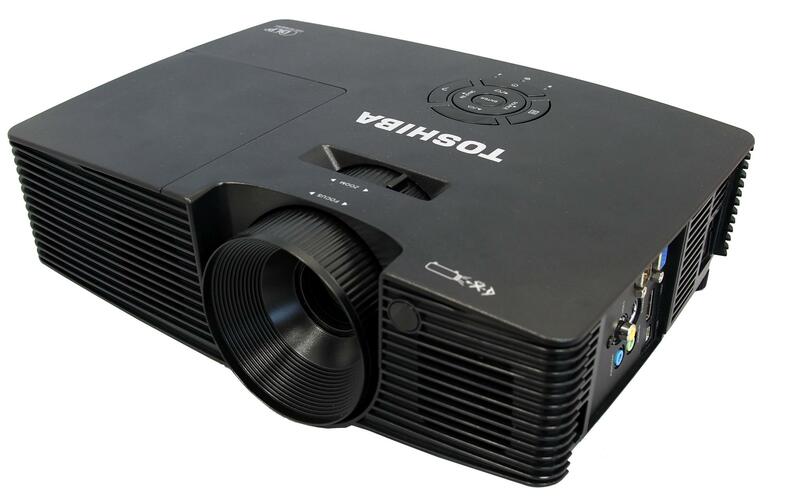 Running on DLP® projection technology, the Toshiba NP25A series projectors feature high brightness1 of 3,500 lumens and high contrast ratio 10,000:1, making them suitable for a variety of lighting conditions. It also features DLP BrilliantColor™ technology for stunning and vibrant colours. Enjoy 3D movies with support for main 3D formats (Top-and-bottom, Frame Packing, Side-by-side and Frame Sequential) and HDMI1.4a connectivity. Secure your projector with a Kensington Lock and protect your investment from theft. Enjoy flexible connectivity with a myriad of input connectors on the Toshiba NPS25A and NPX25A. Easily connect with computers and other devices with both digital and analog connectors such as HDMI 1.4b, RGB in, Monitor out, S-video in, Composite Video in and RS-232C and Audio in/out. Weighing just 2.5kg, Toshiba NP Series projectors are lightweight and compact, so you can easily carry them around. 1Apparent brightness of the projected image will vary depending on ambient lighting, projection distance and brightness/contrast settings of the projector. Lamp brightness will reduce over time, in accordance to the lamp manufacturer’s specifications.